This group is for discussing the next parade of homes event. wow, that is a lot! good job Parade Agents! Hey Rod and Jeremy – congratulations on winning Best Kitchen and Best Master! I was on the SAM Tram tour and I still think your home is the most appealing overall. Thanks Louise! we were excited to get a few awards. See you at the party! Ok, this is last years Parade (2012), “The Sitka” this was a fun home. The Sam Tram flyer was just sent out. Not sure if you got a copy of it. This is a fun time, if you want to see all the parade models in a two day period. Good networking opportunity! Thanks to all those who have signed up for the Parade of homes. We still have some weekday spots open. Spurwing Greens gets a lot of traffic even during the week, a nice 3 hr shift to mesh up with some future buyers. We have Monday May 6th, and the 7th left. 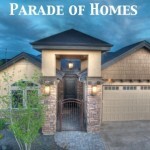 The parade of homes starts April 27th and goes through to May 12th. Looking forward the spring! Looking forward to the Parade of Homes this year. I’m excited about our new models!